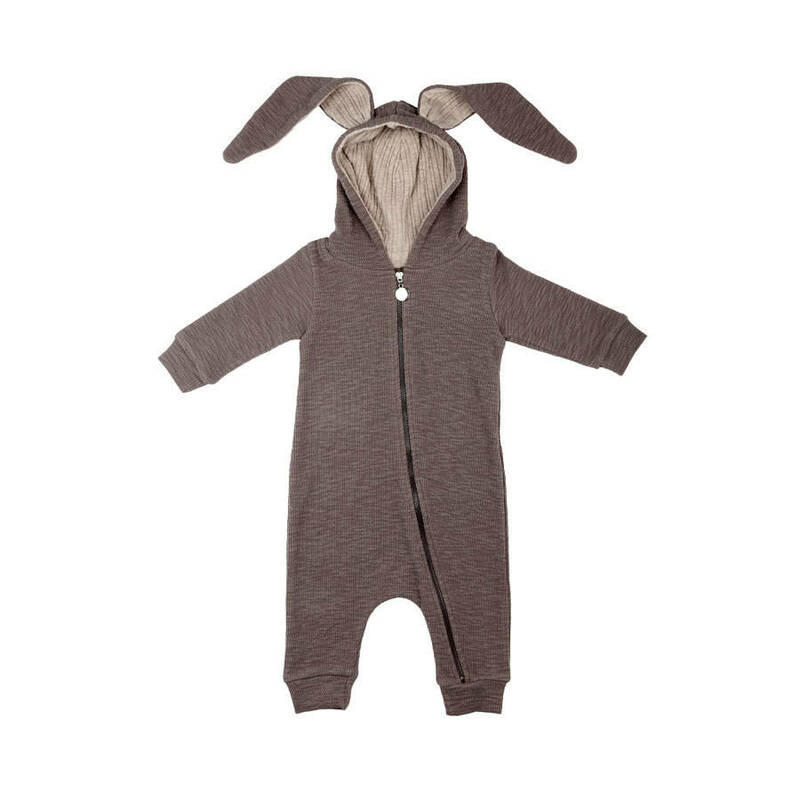 Super soft and super cute, this zip-up, bunny-themed onesie from Lala will keep your little one warm when they're foraging about the house. 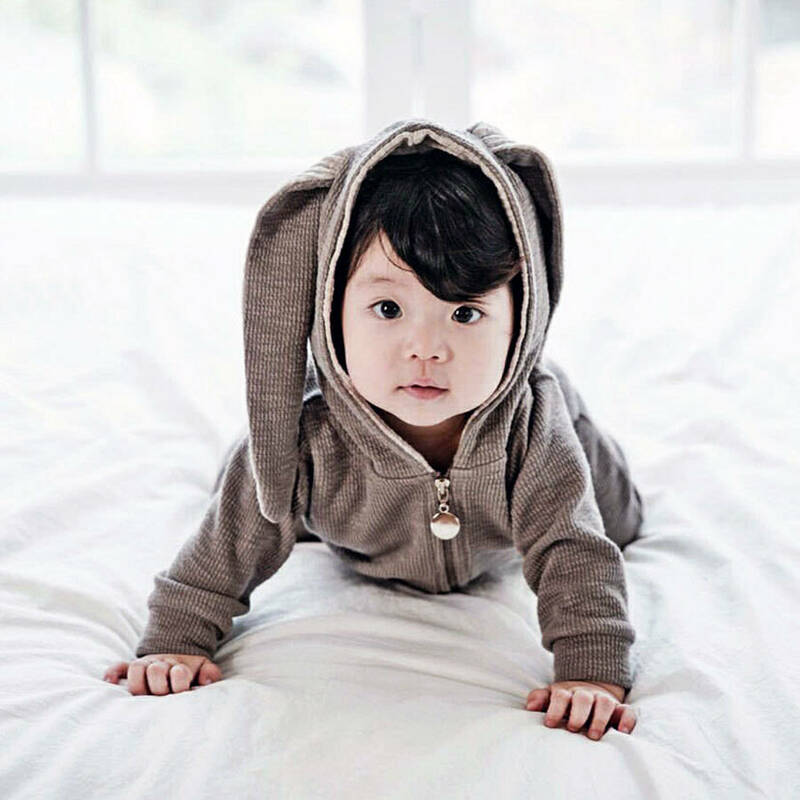 Made from 100% cotton, this overall suitable for boys or girls and features ribbed cuffs and zip fastening to the front. 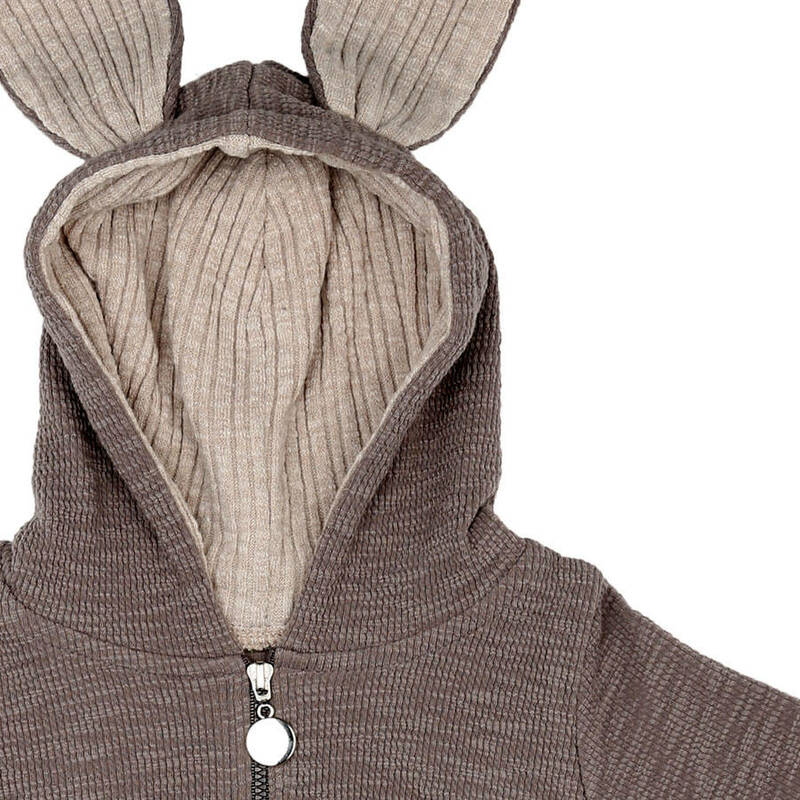 A cosy hood and long floppy bunny ears complete this adorable look. 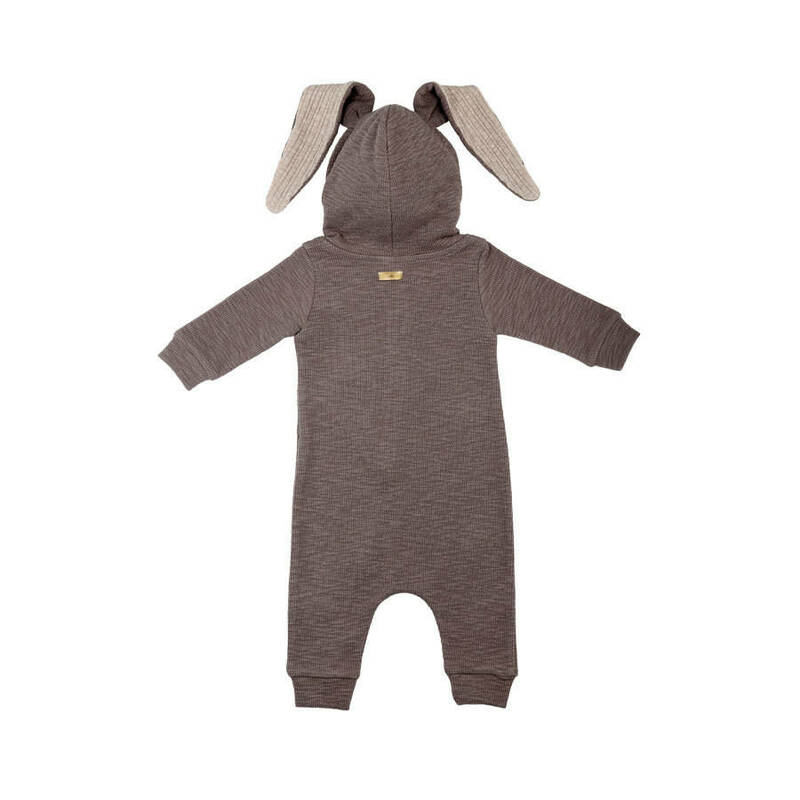 This romper is certain to be a hit this winter season and would make a great Christmas gift for babies or toddlers. 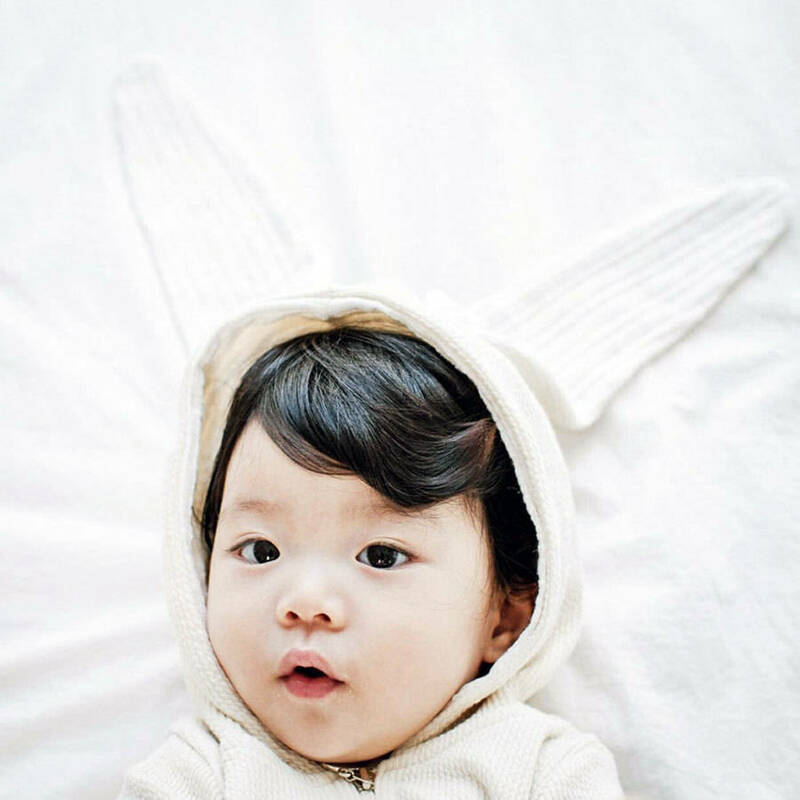 And to make the gift that extra bit special, this item can be personalised with an embroidered name to the left lapel. Please select "personalise with an embroidered name" in the options dropdown and specify the name text in the "enter name" field (maximum 9 characters). FREE GIFT WRAPPING available on this item - just select "yes please" where prompted before adding to your basket. 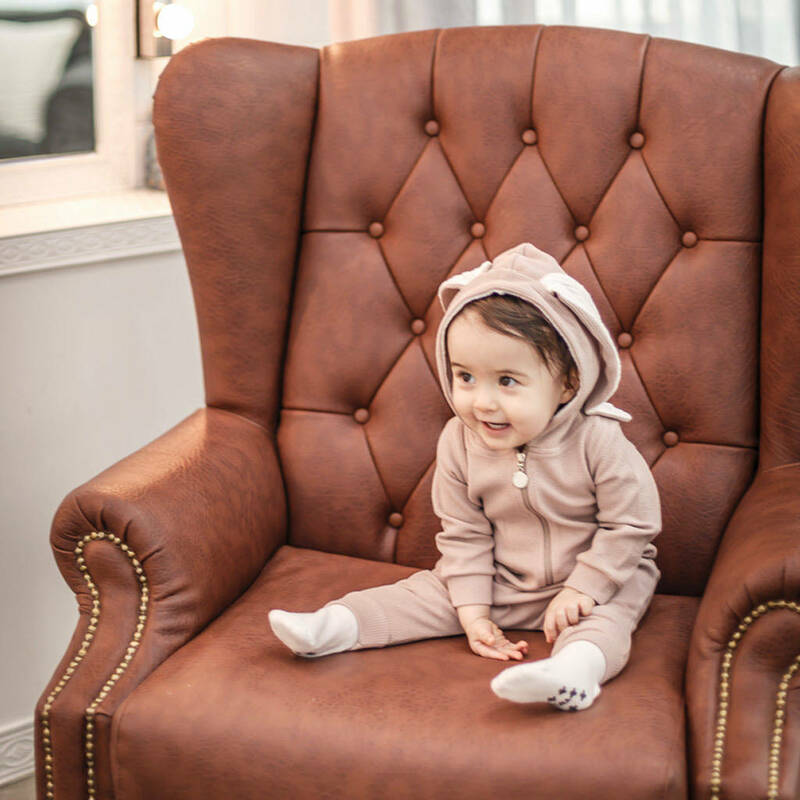 Available in Grey, Cream and Pink. 100% Cotton. Care instructions: wash with care on a gentle cycle on low heat (30°C). Turn inside out before wash. This product is dispatched to you by JJ PARK.